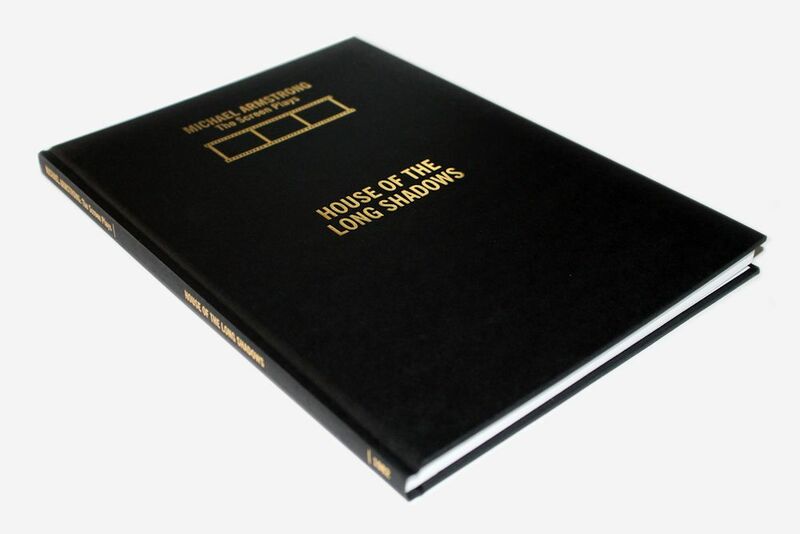 "With an introduction to how his screenplays are styled (which differs to the conventional Hollywood screenplay layout), Michael Armstrong presents his entire HOUSE OF THE LONG SHADOWS screenplay, unaltered from when it was created. Although there are only minor differences in this particular screenplay compared to the film, the ones for Armstrong's other original screenplays showcase Armstrong's intentions in full which were dramatically altered for the screen in some way. Seeing these original screenplays thrusts you into Armstrong's shoes and you can finally see what his vision was all along. With Armstrong's particular style of screenwriting, everything is laid out in an easy-to-read format, complete with descriptions, so that the story flows effortlessly as if you were indeed watching the film play out in front of you. 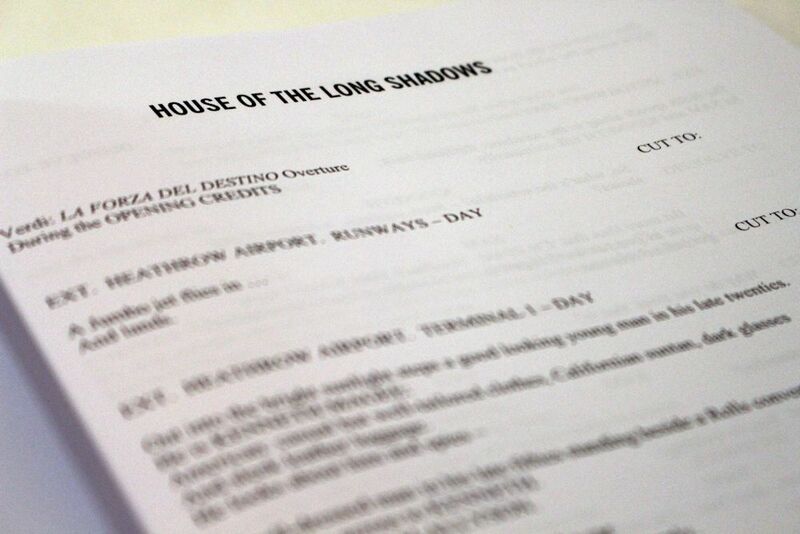 Having seen the movie of HOUSE OF THE LONG SHADOWS from director Pete Walker, I am pleased to say he has stayed extremely loyal to Armstrong's screenplay and it plays out almost exactly as written. Armstrong's style is a director's dream as he's specific about his setting and is keen to describe the shot in great detail so that the work for the cast, crew and editor is that much simpler with no excess material needed. 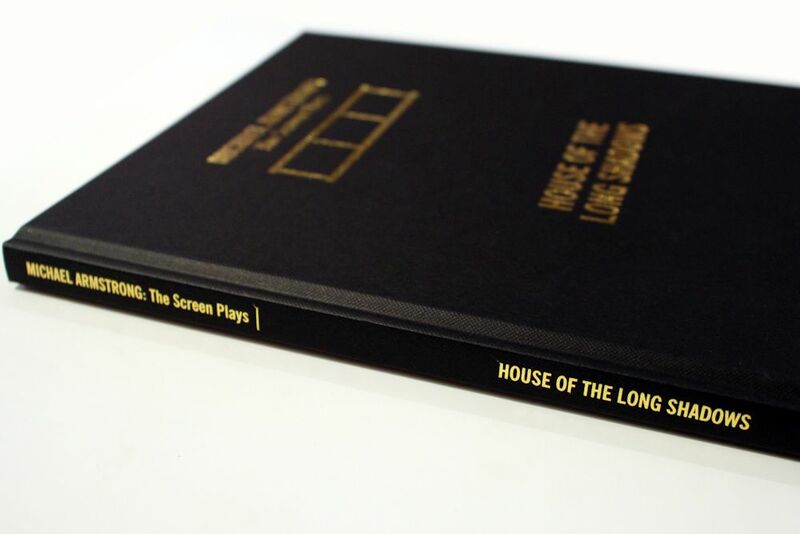 For someone who loves movies or is a filmmaker themselves, these screen plays are fascinating to read, particularly considering the fact they are uncut and contain information about the casting process and production. 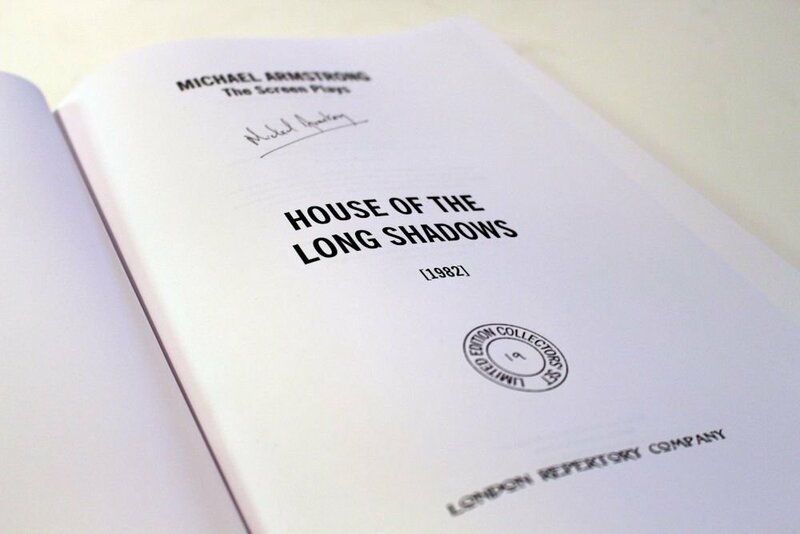 With many of Michael Armstrong's screenplays unfilmed, the publishing of the screenplays will finally let us enjoy those unseen stories which he wrote over the decades and discover potential hidden gems. ...this really is a collector's item and as a collection would be quite a valuable series, not just in monetary value but in a creative sense too."